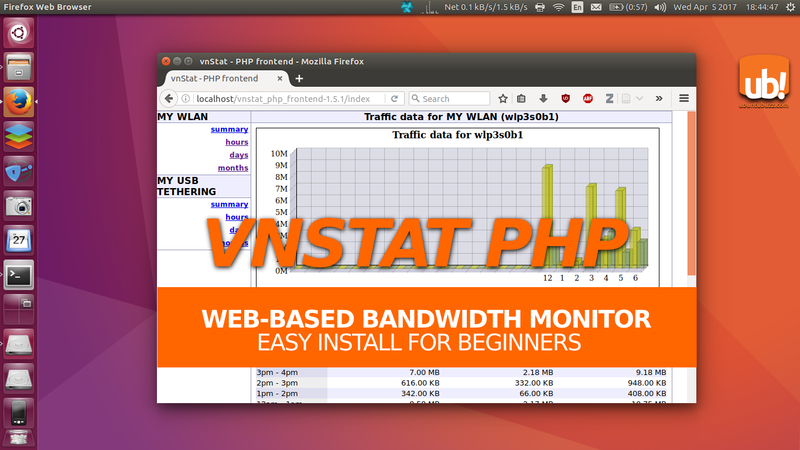 vnStat PHP is a nice bandwidth monitoring tool with web interface based on vnStat console. vnStat PHP can show you visual graph and table of hourly, daily, and monthly bandwidth usage. It can monitor any network interface you use (WLAN, LAN, etc.). 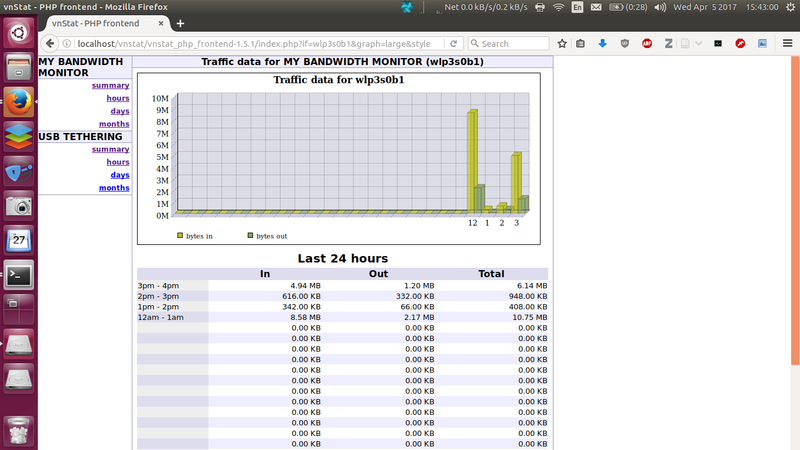 It doesn't need MySQL database to run, just Apache web server is enough. So it's good for desktop users and this article shows how to install it in some easy steps. vnStat PHP is a frontend by Bjorge Dijkstra, while vnStat is a program by Teemu Toivola, and both are free software under GPLv2. The output above indicates that my interface for WLAN is wlp3s0b1. Note your own interface name. The vnstat program is available on repo. This is required by vnStat PHP. Once vnstat installed, determine default network interface in /etc/vnstat.conf file. For example, I want to monitor my WLAN so I use wlp3s0b1 interface. Current version of vnStat PHP is 1.5.1. Run this command and it should download the package into your $HOME directory. Installing the vnStat PHP is extracting the package and move its directory into Apache public www directory. The last config is determining the network interface and user language in vnStat PHP config.php file. You can name the monitor too. Now open your web browser and visit localhost page at vnstat directory. According to this tutorial, it should be http://localhost/vnstat_php_frontend-1.5.1/. Anytime you want to see your traffic data, visit that page. You can monitor more than one network interface (e.g. wlan, lan, usb tethering, etc.) by specifying them in config.php. You can rename the directory name to simpler one such as "vnstat/". You can bookmark the URL of your vnStat PHP panel.